Red Dead Redemption 2 is already confirmed to feature customizable HUD options. The selections will allow players to either minimize the HUD’s presence on-screen, or disable it entirely. Another intriguing tidbit has been making the rounds, too. Apparently, turning off the HUD means the dialogue of NPCs will change when they’re giving directions. 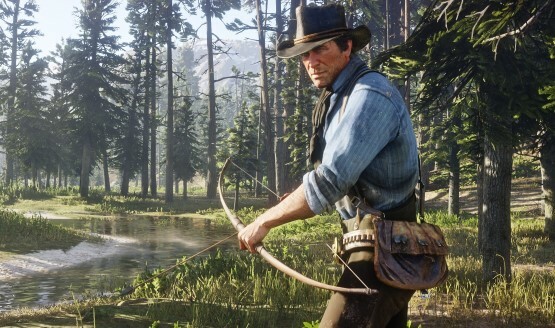 According to a subsequent post from Red Dead News, this detail comes by way of Gameplay, a Croatian magazine. Other readings of this information suggest NPC dialogue changes based on the mini-map’s use, not that of the HUD. According to USgamer, Rockstar Games has yet to offer clarification. However, it makes more sense that instructions for the whereabouts of a location would be tied to the mini-map’s presence. Regardless of the finer details, should this report prove true, it’s a fascinating addition to the series. Because Red Dead Redemption offers an immersive experience, removing on-screen markers in favor of detailed advice from tertiary characters seems a natural next step. Interestingly, we’ve already seen such tactics employed with the recently launched Assassin’s Creed Odyssey. The latest Ubisoft release features Exploration Mode, allowing players to minimize map markers. This encourages players to look for clues about their destination’s whereabouts based on directions given by NPCs. Red Dead Redemption 2 hits the PlayStation 4 and Xbox One on October 26, 2018.